The release of EPA’s fiscal year 2017 enforcement results give a picture of the enforcement priorities . The results reflect four months of the Obama administration and eight months of the Trump administration, and the major cases that make up the results in terms of pollution impacts, fines, and injunctive relief were all either initiated or completed on the Obama watch. These cases often take years to complete so there is no surprise here, it will just take another year of results to better gauge the priorities and actual enforcement approach of the Trump EPA. This from EPA’s recent news releases. WASHINGTON (February 8, 2018) – The U.S. Environmental Protection Agency (EPA) today announced its Fiscal Year (FY) 2017 annual enforcement and compliance results, highlighting site remediation and civil and criminal enforcement results. An increase in the value of commitments by private parties to clean up sites to more than $1.2 billion. 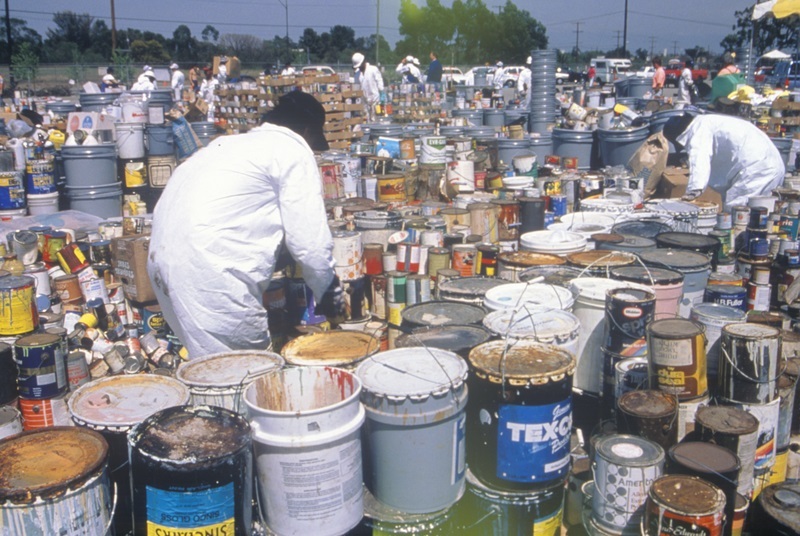 An increase in the environmental benefits of EPA Superfund and RCRA Corrective Action enforcement, with commitments to address an estimated 20.5 million cubic yards of contaminated soil and 412 million cubic yards of contaminated water. An increase in the total of criminal fines, restitution, and mitigation to $2.98 billion. An increase in the years of incarceration resulting from EPA’s criminal enforcement actions to 150 years. An increase in the value of actions taken to improve compliance with the law and reduce pollution, to nearly $20 billion. $1.6 billion in administrative and civil judicial penalties, higher than any of the previous 10 years other than FY 2016, which included the $5.7 billion BP action. ​States and tribes are often authorized to be the primary implementers of federal environmental law. Accordingly, the overwhelming majority of EPA’s enforcement actions are taken in programs that are: (1) not delegable to the state or a federally-recognized tribe; (2) in states or tribes that have not sought authorization to implement a delegable program; or (3) in states or tribes that do not have the resources, expertise, or the will to take action, or that seek assistance from the Agency — and all of these actions are taken in coordination with the states or tribes. As a result, in FY 2017, EPA continued the trend of reducing the number of individual federal inspections and federal enforcement actions. These numbers do not count informal actions or EPA assistance with state enforcement actions. Looking forward, EPA is developing new measures to help focus the enforcement program on returning facilities to compliance by setting goals to reduce the time between the identification of an environmental law violation and its correction and to increase environmental law compliance rates. Also, EPA is developing measures to fully capture all the enforcement and compliance assistance work the Agency undertakes by tracking informal, as well as formal, enforcement and compliance actions and support to states. Volkswagen AG agreed to pay a $2.8 billion criminal fine to settle allegations that it used illegal software to cheat emissions tests to sell approximately 590,000 diesel vehicles and avoid Clean Air Act compliance. In a separate civil resolution of Clean Air Act claims, Volkswagen agreed to pay $1.45 billion in civil penalties. EPA filed a complaint against FCA US LLC, Fiat Chrysler Automobiles N.V., V.M. Motori S.p.A., and V.M. North America, Inc. alleging nearly 104,000 light duty diesel vehicles are equipped with software functions that were not disclosed to regulators during the certification application process, and that the vehicles contain defeat. 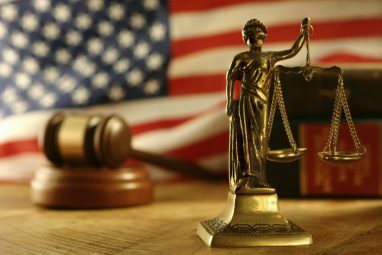 Tyson Poultry Inc., the nation’s largest chicken producer, pleaded guilty in federal court to two criminal charges for violating the Clean Water Act that stemmed from discharges at its facility in Monett, Missouri. Under the terms of the plea agreement, Tyson Poultry Inc. agreed to pay a $2 million criminal fine and serve two years of probation. Whole Foods Market voluntarily disclosed to EPA that it may not have consistently made sufficient hazardous waste determinations on discarded consumer products. Under a settlement with EPA, Whole Foods will pay a $500,000 civil penalty and spend $2.75 million to perform a supplemental environmental project to protect children’s health by replacing older fluorescent lighting fixtures that contain polychlorinated biphenyls in public schools and community centers serving children located in low to moderate income areas. Under a settlement with the U.S. Department of Justice and EPA, StarKist Co. and its subsidiary, Starkist Samoa Co., agreed to make a series of upgrades to reduce wastewater pollution, improve safety measures, and comply with important federal environmental laws at their tuna processing facility in American Samoa. Under the agreement, StarKist will pay a $6.3 million penalty and provide emergency response equipment to American Samoa for use in responding to chemical releases. The agreement will help prevent hazardous releases at the StarKist facility, protect workers and the local community, and reduce pollution discharges by more than 13 million pounds each year. The United States reached a settlement agreement with a third party to conduct response actions at three parcels within the Middlefield-Ellis-Whisman Superfund study area in Mountain View, California, allowing a redevelopment project to go forward. 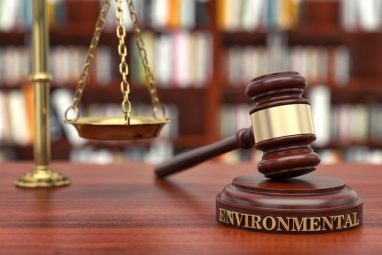 DOJ/EPA pursue criminal charges involving environment and worker safety . . . 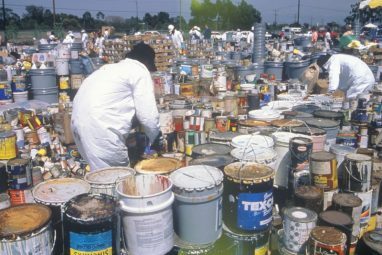 Feds criminally charge water company for hazardous waste violations . . .